About Tea Tea requires a moderately hot and humid climate. Climate influences yield crop distribution and quality. Problem Description These are quite small insects. They are about three millimeters in length. 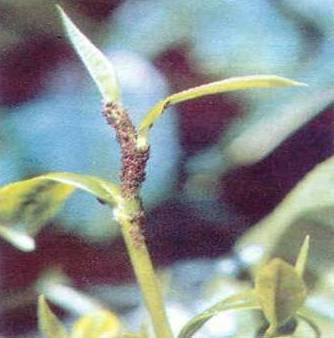 Aphids are the tiny creatures which can wreak havoc in your tea garden. These are quite small insects. They are about three millimeters in length. Some adult aphids have wings. Plants that are infested with aphids will always have signs. Look for discoloration on the leaves. The leaves will have tiny yellow spots. if the leaves of the plant are wilting and drying out for no reason then this is a problem with aphids.